Welcome to one of the most prestigious subdivisions in Crestwood, Arbor Ridge. Arbor Ridge is accessible by taking I-71 to exit 14 then turning onto Highway 329. Development of Arbor Ridge began in the early 2000s. Homes in Arbor Ridge range from $340,000 to $470,000. Many of the Arbor Ridge homes are custom built. Some of the builders that built Arbor Ridge homes are Esposito, Woodfield, and Premier Builders. 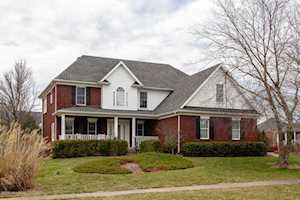 The Hollinden Team updates this search for Arbor Ridge homes on a daily basis from the Louisville MLS. We have helped many buyers find their dream home and sellers sell their home in Crestwood. To find out what our past clients are saying about us, please check out the Hollinden Team reviews. Click the map on the left to view each Arbor Ridge homes for sale. There is a satellite view button in upper right. Arbor Ridge houses are predominately brick homes. A few homes do have stone accents on the outside. Arbor Ridge offers spacious lots ranging from 0.30 acres to a little over one acre. Garages are two to three car and are mainly attached side entry. Inside Arbor Ridge homes, you’ll find 2,200 to 3,600 above grade square feet. The majority of Arbor Ridge homes have spacious basements. Most of the basements are finished and some are walkout. Usually, you’ll see one to five full bathroom and three to six bedrooms in these homes. Over half of the master bedrooms are first floor masters. Homes in Arbor Ridge have many modern updates. Hardwood floors, crown molding, granite countertops, vaulted ceilings, and stainless steel appliances are in most Arbor Ridge homes. Also, Arbor Ridge homes boast open floor plans, making it a nice flow for entertaining. Arbor Ridge is conveniently located near many stores and expressways. Arbor Ridge is only one mile away from I-71.There is a Kroger and Walmart close by Arbor Ridge. The closest shopping malls are in Louisville. The Paddock Shops is about ten miles away from Arbor Ridge and is probably the closest shopping center. Downtown La Grange has a few places to shop as well. You can find antique shops, consignment shops, and bridal stores in Downtown La Grange. There are many restaurants close by Arbor Ridge. A few of the restaurants in Crestwood are Red Pepper Deli, Gustavo’s Mexican Grill, Rikishi, Texican’s Barbeque Pit, and A Taste of Thai. Arbor Ridge is in the Oldham County School District. The following schools are the home schools for Arbor Ridge: Kenwood Station Elementary, South Oldham Middle School, and South Oldham High School. Arbor Ridge is five minutes away from the South Oldham Campus. South Oldham Middle School is one of the four highest-performing schools in the district. If you would like to learn more or have any questions about any of these Arbor Ridge houses for sale, or others in zip code 40014, just click the "Request More Information" button on any property detail page. The Hollinden Team can provide you with past sale information, comparables, disclosures, PVA assessment, and tax information – we would love to answer any real estate questions you have.